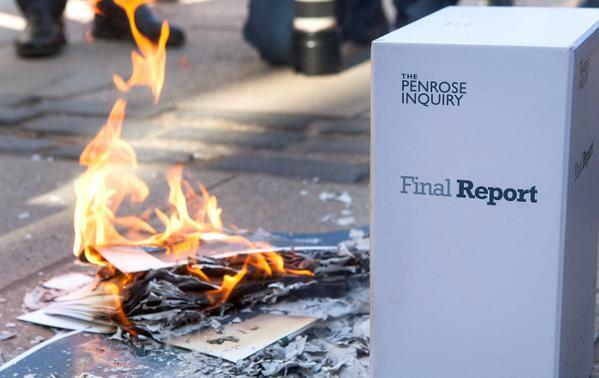 Although I have evidencing pertaining to UK government negligence and human rights abuses spanning several governments which led to over 2,000 deaths and rising and many others still suffering I will not produce this evidence in a UK public inquiry, the Penrose Inquiry. A public inquiry is allegedly “the foremost vehicle for allaying serious public concern and restoring trust in the state”… yet I have been informed that any documents that pertains to alleged negligence cannot be shown/discussed…the attitude is “we are not interested in finding negligence”. Is this is our “foremost vehicle” then there is something wrong with the state and the system! For many years I campaigned for a “full and open public inquiry” until I realized the system does not work. It was all to no avail anyway, as the Westminster government have always denied a public inquiry into the “worst medical treatment disaster in the history of the National Health Service”. This was prioritising profit over safety by importing blood from the US multi-national pharmaceutical companies such as Bayer, Baxter, Alpha and Amour (some have changed names). The process of collecting blood bought from prisoners in places like Arkansas State Penitentiary violated almost every safety rule in the book and then it was injected into NHS patients, haemophiliacs with a blood clotting disorder. Infecting them with HIV and hepatitis viruses. 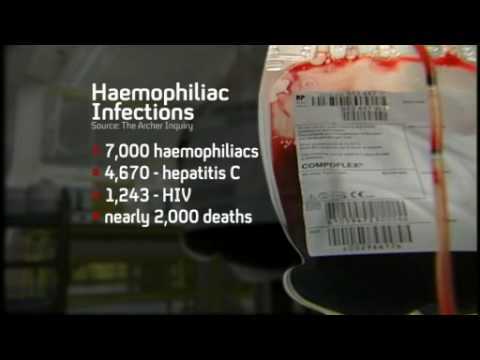 I was infected with hepatitis C through a blood transfusion in 1986 (paid £20,000 by government). The transfusion was given for severe aplastic anaemia (destruction of the bone marrow) caused by exposure to toxic chemicals at work (see my hospital records). I was beaten up by staff at 4 hospitals in the UK as I knew the cause of my aplastic anaemia. See my wife’s (an SRN) articles in media on this) Answers to my questions in parliament on 11.1.989 listed nearly 200 prescribed drugs, many chemicals and radiation as known causes of aplastic anaemia, a precursor condition to cancers. Thanks for your comment. I am very sorry to hear that. Getting answers from the government for blood-related medical conditions has proven very difficult over the years as media has shown even with the help of lawyers. Hospital staff can also be very unprofessional at times. You can always put any complaints in writing to Chief Exec of hospitals involved and copy in your MP and media contacts, give then 28 days to respond, document evidence, witnesses. I hope you make good progress in your fight for justice.